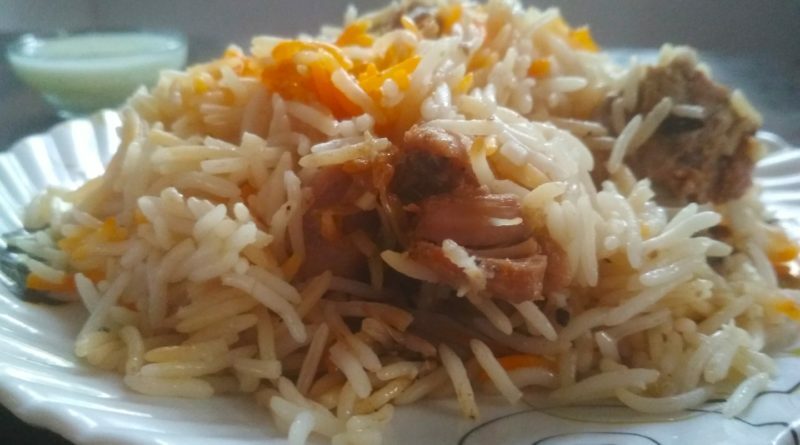 Chicken Biryani is one of the most famous dishes among non-veg food lover in this post I will give you step by step process. 2 Cups long grain basmati rice. 3 bay leaves (tej patta). 600/700 gm chicken cut into small pieces. 3 medium size chopped tomatoes. 3 large size chopped onion(pyaaz). one large sized sliced onion -fry till it becomes brown and crispy. 1 cup chopped pudina leaves. 5/6 strands Kesar dissolved in milk. First cook the basmati rice, in a pot boil 7/8 cups of water add oil, salt, and tej patta. once water gets boil add rice and cook till it becomes half cooked .strain and spread the half cooked rice on a plate. for cooking the chicken.take the thick bottomed pan and add oil.once oil becomes hot add chopped onions fry it till it becomes brown.add one tablespoon ginger garlic paste . in between stir for two minutes. add chopped tomatoes cooked for 3/4 minutes in medium flame then add curd and stir it .know add salt and chili powder mix it properly knows add chicken. stir it for 2/3 minutes. add two cups of water in the mixture and cook in medium flame till chicken turns tender.if there is any extra water cook till gravy become little thick.remove from the flam and keep it aside. take 2 tbsp cumin seed (jeera),4 -chhoti illaichi ,3 small stick dalchini,2 -badi illaichi,3/4 -kalli mirch and 4/5 -loung in the grinder and make the paste by adding little water .and keep the liquid masala aside. take a big size thick bottom pan, sprinkle some thick chicken curry at the bottom .add 1/3 of the rice.place half of the chicken pieces on it and add the masala gravy. next sprinkle the golden brown onion, freshly chopped mint(pudina), and coriander.sprinkle liquid masala from the top. repeat the step adding rice then chicken pieces layer, curry followed by onion, pudina .coriander and masala finishes the layer with rice and sprinkle brown onion on top also sprinkle kessar dissolved warm milk. take small pan heat desi ghee .splutter shahi jeera and pour on the biryani. cover the pan with tight-fitting lid use dough to seal. keep the pan on low flame for minimum 20 minutes before serving. 1 cup tiny fried gram flour (boondi). half teaspoon black pepper powder(kali Mirch). add boondi in the hot water and wait for 10 minutes. drained the water out from boondi by softely squeezing with your palm. take a separate bowl and add the curd and whisk it. add all the dry spice powder(jeera powder, chat masala, black pepper powder ) and mix it properly. 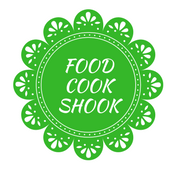 know add boondi in the mixture and from top add chopped coriander and mint leaves.